Business Image Printing offers custom cannabis vape cartridge products packaging solutions to give your product a competitive edge. Here at Business Image Printing we can ensure that your custom cannabis vape cartridge products packaging is child-resistant as it is mandated to be by the Poison Prevention Packaging Act (PPPA). We also adhere to the highest protocols of printing, quality and compliance, and deliver products that are attractive and secure. For instance, such as with embellishments like debossing, foil stamping, embossing, etc. We are committed to enhance your experience and have the abilities, and skills to design different variants of the same size boxes in bulk at the best possible rates. Our custom cannabis vape cartridge products packaging is adequate to ensure that the warnings and extra information is readable, giving a professional look and feel to the product. 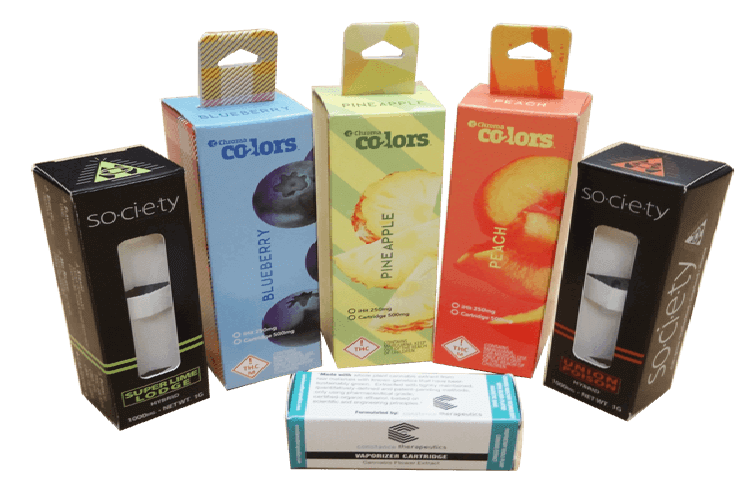 Additionally, vibrant colors, effective placements and good quality will increase the value of your cannabis vape cartridge products packaging. If you are interested to know more about custom cannabis vape cartridge products packaging, feel free to contact Business Image Printing.